Kids’ Nature Night: The Amazing Superpowers of Bats! Did you know that bats have “superpowers” that can rival any super hero? These powers are the adaptations that enable certain bat species to do amazing things, such as flying up to 60 miles per hour, eating their entire weight in insects each night, or being immune to some types of venom. We’ll learn about the adaptions of a few of our native bats and how important these often misunderstood creatures are to people and our environment. 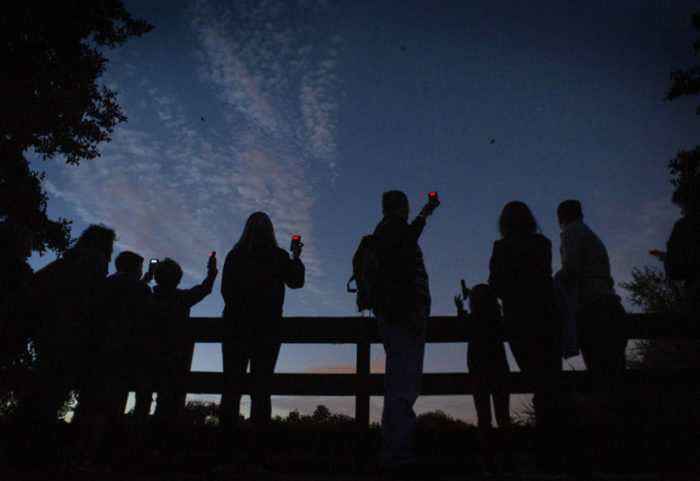 Once the sun starts to set, we’ll go on a hike and use our bat detector to eavesdrop on the cool echolocation calls of Great Hollow’s bats. Please email our Education Coordinator, Sena, at gro.w1555592506olloh1555592506taerg1555592506@anes1555592506 for more information or to register.